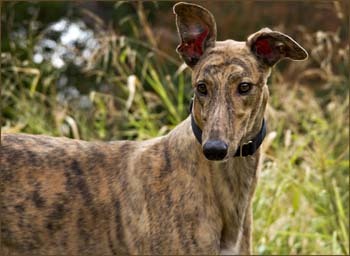 Push, aka Push Eternity, is a 2-year-old brindle male born August 14, 2009. His sire is Starvin Soul and his dam is Rancho Boo Breez, giving him a famous grandisre on each side: Molotov and Gable Dogde! 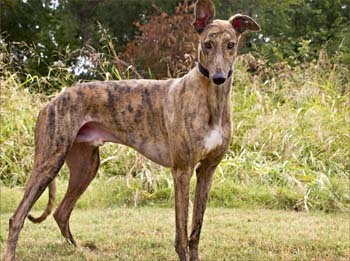 Push has seven races to his credit on Greyhound-data.com, all at Gulf Greyhound Park starting May 8, 2011 and ending June 19, 2011. 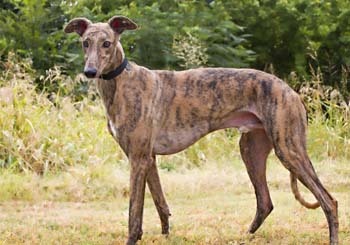 Clearly he was not meant to follow in his grandsire's pawprints, but we know he will be a winner in the adoption arena!